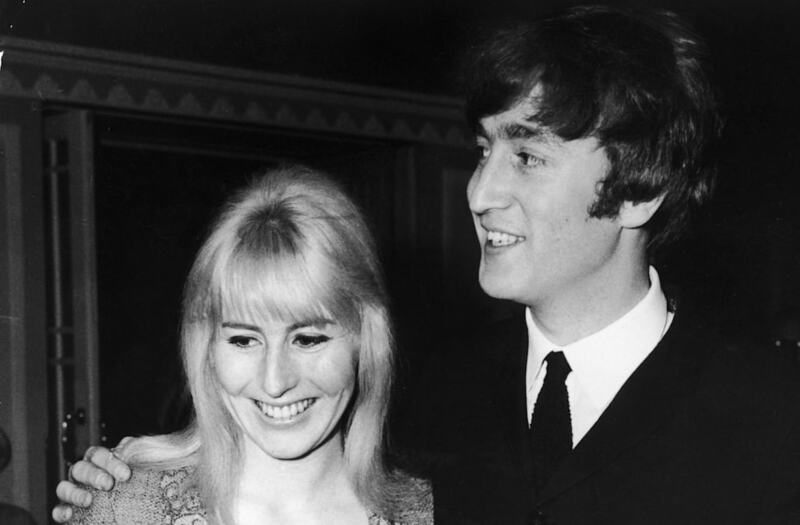 John Lennon divorced his first wife, Cynthia Lennon, in 1968, after an acrimonious split that history pegs to the Beatle meeting and falling for Yoko Ono. But according to a 1976 letter from Lennon himself, that's not the case. The newly surfaced letter addressed to Cynthia is one of two written by John Lennon about the end of his first marriage that RR Auction is currently selling (bidding ends Aug. 9). The other is an open letter to magazine editors; both were written by the former Beatle on Nov. 15, 1976 on Lenono Music letterhead. The first letter begins with a scornful observation. "As you and I well know, our marriage was over long before the advent of L.S.D. or Yoko Ono ...; and that's reality!," he wrote in a sentence that ends with a comment taken directly from his song "God." Lennon then recalls her statements on how many times they took LSD ("you seem to have forgotten subsequent trips altogether!") and the time she asked him to remarry her and have another child ("I politely told you no") while he was temporarily separated from Ono. He then said that he didn't blame her for trying to cut herself away from the Beatles, but suggested she "should try to avoid talking to and posing for magazines and newspapers!" (Original Caption) Of Brides and The Beatles. London: These Beatles who have taken brides, and that includes all but Paul McCartney, married girls from ordinary walks of life. Left, John Lennon and his wife Cynthia, a former art student like John, wait for a plane at London Airport. Right, George Harrison gives his new bride Patti Boyd, an ex-hairdresser turned model, a kiss soon after their wedding last month. (Original Caption) John Lennon's first wife, Cynthia, and their 17-year-old son, Julian, leave their home here Dec. 9 for an undisclosed destination. (Original Caption) 7/31/1970-London, England- Italian film director Roberto Bassini and his wife, Cynthia, the former wife of Beatle John Lennon, leave the wedding registry office here, July 31, after their wedding. The groom holds Julian Lennon, Cynthia's child by her previous marriage. The first letter ends on a more upbeat note. "We did have some good years, so dwell on them for a change, and as Dylan says, 'It was a "Simple Twist of Fate,'" a not-so-subtle reference to the title of her first book about him called A Twist of Lennon. The second one, an open letter to a magazine, reads, "Dear sir or madam, I would appreciate this letter being printed in your magazine without any editing. I think it's only fair to me and your readers to present my side of the story. Thank you, John Lennon '76" with a sketch added to it. According to Bobby Livingston, Executive Vice President at RR Auction, the open letter was in response to the British tabloid News of the World publishing advance excerpts of Cynthia Lennon's book. Bidding for the package as of Tuesday (Aug. 8) afternoon was just under $7,900. Also being sold separately by the auction house in the auction is a book signed by Lennon called Adolf Hitler: My Part in His Downfall by British comic Spike Milligan, which was originally gifted to his friend, Harry Nilsson. The hardcover book is signed "For Harry, I told you so! Love, John, 74'," with a smiley face with glasses. Nilsson also signed the book. Estimated value by the auction house is $3,000. Deadline for initial bids is 6 p.m. ET Wednesday. Interested parties must place a bid by that time to be included in the extended bidding period. More information is on the auction website.